as Gauguin put it in the title to his greatest painting. Well, I’ll try and give a quick summary of what we are doing here and what we hope to achieve. This blog is an exploration of the work of the Australian agriculturalist and engineer P. A. (Percy) Yeomans but that is just the starting point. 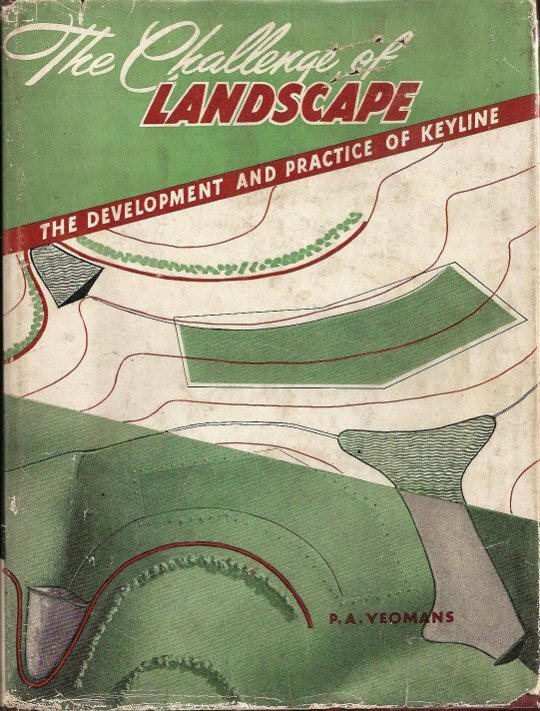 Yeomans 1958 book The Challenge of Landscape was the second of his three books on farming and Keyline. While exploring his work we will also explore the way cultural influence develops and cultural memes evolve and we will be chasing off after the many links that his work has to issues ranging from sustainable agriculture and climate change to the definition of art, from the eminently sensible to the hilariously crazy. Neo-Con brings together a recent generation of Australian and international artists whose works are linked by a specific interest in the ideas, artists and artworks of the conceptual art movement of the 1960s and 70s. These artists’ relationships to this period are often activated by a direct engagement with material sourced from first wave conceptual art practices, including art works and events. Some of the artists focus on the legends and myths that have been built around this movement and its attendant claims of mysticism. While others are connected through their adaptation and continuation of key strategies initiated by the pioneers of conceptual art almost fifty years ago. In a contemporary situation where revisiting histories and rewriting stories is an everyday practice, and a work of possible and continuous reinvention, these artists have approached Conceptual Art with an energising sense of freedom. Lucas approached me to do a collaborative version of an exhibition I had planned at the AGNSW in the mid 70s on the life and work of Yeomans, an exhibition that was canceled by the Trustees – but more about that later. We will be approaching the same material in the form that would naturally be used now, a blog, some large prints in the gallery (done at Big Fag Press) and a number of events. We will probably also do a few things in other media as we get the urge. 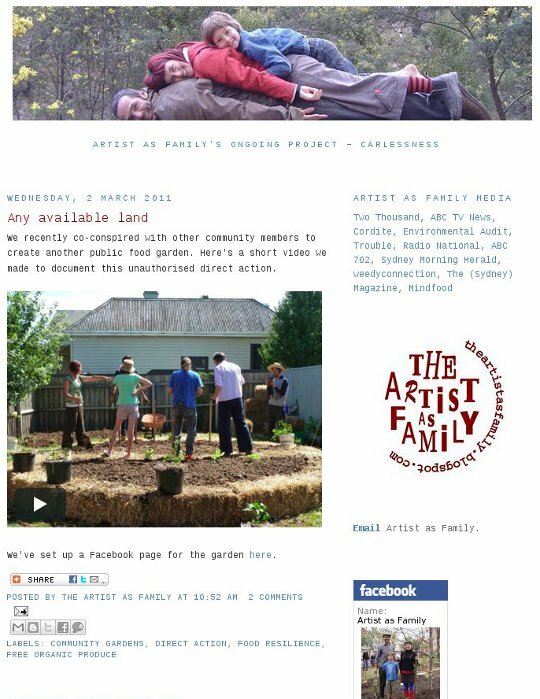 Artist As Family have been investigating the sustainable lifestyle in Daylesford, Victoria. 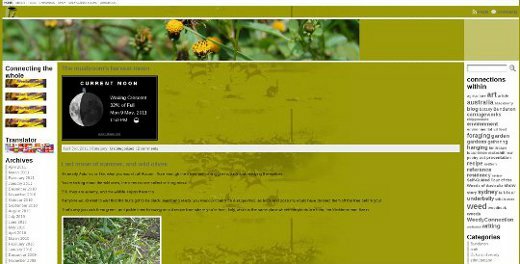 This entry was posted in Art, Climate Change, Farming, History, Permaculture, Sustainable agriculture, Yeomans and tagged ACCA, AGNSW, Ian Milliss, keyline, Lucas Ihlein, PA Yeomans. Bookmark the permalink. Post a comment or leave a trackback: Trackback URL. Yes, it’s exciting to finally start the YEOMANS PROJECT. My own interest: I’ve been wanting for a few years now to do some sort of collaborative thing with Ian. When Hannah invited me to take part in her exhibition at ACCA about “the legacy of Conceptual Art”, I realised the time had come. I must say, my knowledge of YEOMANS and his work is almost nil. 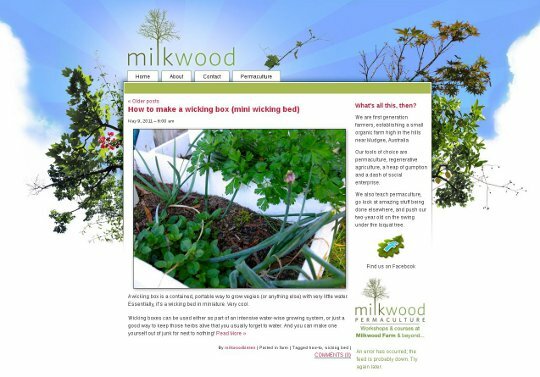 When I did a permaculture course with Milkwood last year, we did a bit of thinking about Yeomans’ keyline ploughing system. And I remember thinking that it was an amazingly simple and exciting innovation. I also keep hearing Yeomans mentioned on ABC radio, whenever discussions come up about dryland farming and water access (eg in relation to the recent water showdown around the Murray Darling). But that’s about it. So the Yeomans Project is my chance to move from Yeomans Novice to Yeomans Nerd. I’m sure Ian’s motivations are somewhat different. But that’s a start! Good to read Ian. We look forward to visiting the show just after Christmas. We wonder if Robert Smithson, Richard Long, Lucien den Arend et al ever read The Challenge of Landscape?